Happy Wednesday – it’s book release day during the iOS 12 Launch Party! This week’s book release is the iOS Apprentice, Seventh Edition. This is our book for complete beginners to iOS 12 development, where you’ll learn how to build four complete apps from scratch. Once again, long-time team member Fahim Farook has taken Matthijs Holleman’s classic and completely updated the entire book for iOS 12, Swift 4.2 and Xcode 10. This is a free update for existing PDF customers, as our way of thanking you for supporting our site. Don’t have a copy yet? Read on to see how you can get one during our limited-time sale! Did you know that iOS Apprentice was first written for iOS 5, and digital edition customers have received free updates to the book for every version of iOS since then? That’s seven years’ worth of updates — you just can’t beat that kind of value! The iOS Apprentice is one of our best-selling books of all time. Over 12,000 people have started their iOS development adventures with this book since it was released. In the first tutorial in the series, you’ll start off by building a complete game from scratch called “Bull’s Eye”. The first app: Bull’s Eye! How to use Xcode, Interface Builder, and Swift in an easygoing manner. How to customize them to make them look good! By the time you’re done, you’ll have created your own iOS app from scratch, even if you’re a complete beginner! In the second section, you’ll create your own to-do list app. In the process, you’ll learn about the fundamental design patterns that all iOS apps use and about table views, navigation controllers and delegates. Now you’re making apps for real! 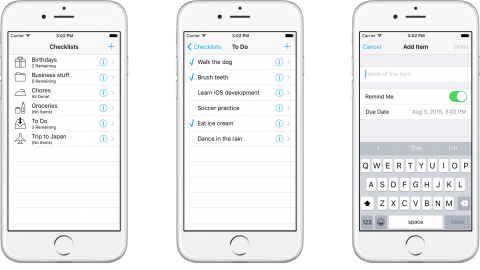 The second app you’ll build: Checklists! Most importantly, you’ll learn more than just how to program with the standard iOS components — you get to see what it takes to build a quality app. You’ll learn about all the little details that set great apps apart from mediocre ones. After all, you need to make a great app if you want it to be a success on the App Store! In the third tutorial in the series, you’ll develop a location-aware app that lets you keep a list of spots that you find interesting. In the process, you’ll learn about Core Location, Core Data, Map Kit, and much more! The third app in the book: MyLocations! Of course, all of this is just an excuse to play with some of the more alluring technologies from the iOS SDK: Core Location, Map Kit, the camera and photo library, and Core Data. These are frameworks you’ll use all the time as a professional iOS developer! Mobile apps often need to talk to web services and that’s what we’ll do in this final tutorial of the series. We’ll make a stylish app that lets you search for products on the iTunes store using HTTP requests and JSON. The fourth and final app you’ll build: StoreSearch! And finally, submitting your apps to the App Store! By the time you have finished this fourth part in the series, you will have the core skills that it takes to make your own apps, and will be ready to make your own apps and submit them to the App Store! Best of all, the book comes complete with all source code for the apps in the book. That way, you can always compare your work to the final product of the authors at ay point in your journey through the book! 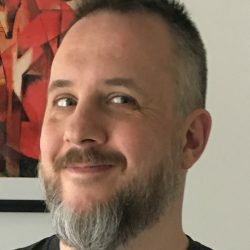 After many years of handcrafting his logic with if-then-else statements, Matthijs Hollemans finally saw the light and switched to machine learning, teaching computers to come up with those if-then-else statements by themselves. Why write programs when computers can write their own? Matthijs also lifts heavy things in the gym and plays heavy things on his guitar. 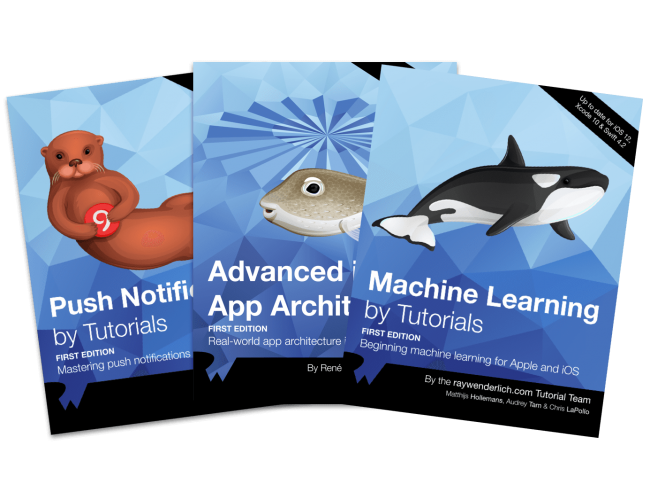 Matthijs blogs about iOS machine learning at machinethink.net. You can find him on Twitter as @mhollemans. 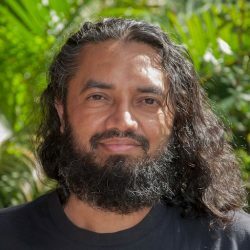 Fahim Farook is a developer with over 25 years of experience in developing in over a dozen different languages. Fahim’s current focus is on mobile development with over 80 iOS apps and a few Android apps under his belt. He has lived in Sri Lanka, USA, Saudi Arabia, New Zealand, Singapore, Malaysia, France, and the UAE and enjoys science fiction and fantasy novels, TV shows, and movies. You can follow Fahim on Twitter at @FahimFarook. iOS Apprentice, Seventh Edition is now 100% complete, fully updated for Swift 4.2, iOS 12 and Xcode 10 — and is available today! If you’ve already bought the iOS Apprentice PDF, you can log in to your account and download the new book in PDF and ePub format immediately on our store page. If you don’t have the iOS Apprentice yet, you can grab your own very own copy in our online store. And to help sweeten the deal, the digital edition of iOS Apprentice is on sale for $44.99! But don’t wait — this sale price is only available for a limited time.